I have been a music fan since the early years of my life. I started getting exposed to Hip Hop in the 6th grade back in 2008. My favourite artists were Eminem, 50 cent, Lil Wayne and more. I started writing music in high school but I did not have a team to work with nor the equipment. In 2016 I met the guys (Wizards Ent) and started recording songs and learning to produce music via Fruity Loops. Wizards Ent is a Record Label that consist of 6 members, I am one of the founders/directors, we are 100% independent, we do our own video-shoots, graphics and beats. I started releasing music in SoundCloud, audiomack, Slikour On Life etc, now you can find my music on Apple Music, Amuse, Spotify, Pandora and more. What is Hip Hop according to you? 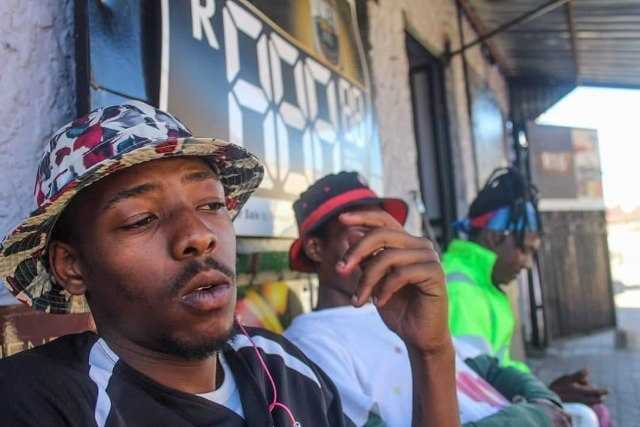 What do you think of South African Hip hop? Is it on point or it needs a bit of polishing? I think South African hip hop is growing massively and it needs a lot of attention. We as upcoming artists also need to give the game something it has never seen or experienced before, something fresh and very creative…The game needs more versatile and unique artists who can really think out the box. What changes are you bringing to the hip hop industry? With my craft I am looking to inspire, touch and influence a lot of artists… I’m bringing 100% independence in the game… as you know a lot of upcoming artists rely on label deals but as for me, I prefer working with a team that produces different skills and mindsets that will expose us and make us gain profits for our music… in short, I’m promoting 100% independence. What is the Best and Worst thing about Hip hop according to Your Experiences? How is the hip hop standard in Alexandra? Is it Excellent or it lacks a bit somewhere? The hip hop in Alexandra is lacking, we have so many talented rap artists but we only get to see the same faces in events and big platforms… We need more hip-hop events because mostly we have more House Music events than hip hop. Who is your intimidation when it comes to rapping around Alex? I feel like am gifted in my own way(s), so I run my own race…competition is there but I am more focused on the business side which is lacking in the hood…Artists are more reliable on labels, radio stations and other platforms for exposure. How is the response from Family and Friends since you are in this Hip-hop industry? To be honest I am not supported mostly on the family side but I have friends (homies) supporting me, downloading and listening to my music. What is the Motive behind your writings? The motive behind my lyrics is basically the struggles, hardships, and the challenges I face on a daily basis…My lyrics are relating to $miley as an artist trying to establish himself in the rap game. $miley… What is the story behind your stage name? I got the name $miley in the sixth grade…it is not a name I got in the rap game but a lot of people call me by my nickname more than my real name, so basically, I am used to it because the name is unique in the rap game. Surely there’s someone out there who wishes to be like $miley, what wise words can you invest in them? To someone who wants to be in my space, I would like to say be real to yourself, work hard and never give up!!! Who do you want to send Shout outs to?